What kind of care can I expect from Complete Physical Rehabilitation? We pride ourselves on our high quality service, including strict one-on-one time with a Physical Therapist, flexible appointment times, rehabilitation programs focusing on efficiently achieving therapy goals, and constant communication with patients and their physicians. At the same time we also expect a lot of our patients as well. This means following the home Physical Therapy exercises prescribed by the Physical Therapist, punctuality with appointments, and a positive attitude towards their recovery. 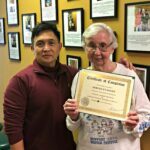 At Complete Physical Rehabilitation, we know that getting the job done right requires a full effort not only from the Physical Therapists and doctors, but from the patients themselves as well. Why choose to come to physical therapy? 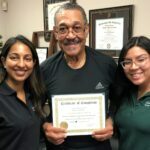 Throughout its history, Physical Therapy is unique in that it has, from the very beginning, focused on BOTH pain relief AND patient education. Unlike other specialties that focus solely on short-term pain relief with no long term goals in sight, the ultimate goal of Physical Therapy has always been to provide the patient with a long lasting recovery without the need for having to endure endless treatment sessions. Physical Therapists can treat a wide variety of ailments with Physical Therapy, ranging from general musculoskeletal pain to complicated cases such as balance, stroke, and cardiac rehabilitation. 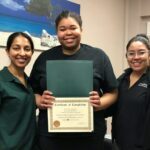 It is important to understand that Physical Therapists play an important role in the lives of many individuals with regards to movement, function, wellness and general health. Do I need a prescription or referral from my primary physician to be seen for physical therapy? New Jersey operates under a direct access law, where prescriptions and referrals are not needed from primary physicians in order to schedule a Physical Therapy evaluation for patients with commercial insurances (i.e. Aetna, BC/BS, United Healthcare, etc). Direct access means timely, and thus more effective Physical Therapy services for the patient. Prescriptions are only required for Workers’ Compensation, Auto Accident, and Medicare cases. Who chooses my physical therapy clinic? You can go to a number of sources for recommendations, but ultimately, patients are free to attend Physical Therapy at any facility they choose and cannot, legally, be forced to attend any one particular facility. The easiest way to schedule an appointment for Physical Therapy in Jersey City or Elizabeth is to call any of our offices. Patients can also visit our offices in person, if they wish. Please be advised, it is our policy that we must verify all potential patient insurance information BEFORE SCHEDULING ANY APPOINTMENTS. We will not schedule any first time Physical Therapy appointments without having verified insurance coverage first. This policy is in place to catch any potential issues that may exist and lessen any out of pocket expenses that may occur as a result of unforseen insurance coverage problems. If making an appointment over the phone, we must take your insurance information over the phone, including insurance name and member ID. We will then verify insurance coverage with your insurance company and contact you immediately to schedule a Physical Therapy appointment. Still haven’t found the answer to your question? Contact Elizabeth or Jersey City.